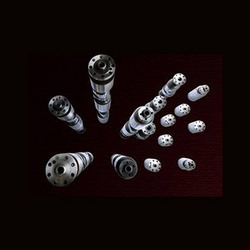 Ceeyes Metal Reclamations established in 1991 is engaged in manufacturing a wide range of high quality Camshafts for heavy duty power generators, locomotives and ship engines. Our product range includes Cam Shafts, Reclamation of Cam Shafts and Contract Manufacturers. Since the day of our inception, we have been supported by Trichy & Department of Science & Technology, Tiruchirappalli Regional Engineering College - Science & Technology Entrepreneurs Park (trec-step) and Government of India. This support has helped us in growing ourselves and nurturing our abilities of delivering products in accordance to international market. Based in Chennai, we as an ISO 9001:2008 certified company have outshine companies rapport among clients by gaining expertise in manufacturing products of international quality. We operate with a motive of offering complete satisfaction to our clients by understanding their requirements we have maintained a tradition of quality management in our organization. We are strengthened by our state-of-the-art infrastructure and the latest technological equipments available with us. A team of expert and experienced people are always available to help us in manufacturing products with extreme preciseness. In all these years of successful presence in the market we have been able to serve Indian Railways by offering ten thousand individual Segments. Being only private organization engaged in supplying a range of camshafts for Indian Railways diesel locomotives having upgraded and high horse powers. Under expert guidance of our founder director Mr. S.Ananthakrishnan and his professor Dr. C. R. Kandaswamy, we have achieved a benchmark position in the Industry. Railway board has awarded Dr. C. R. Kandaswamy with Best Innovation Award for his rich industrial experience and types of services he has offered to the industry. Our company manufactures offers refrigeration pumps to our UK clients on contract basis. 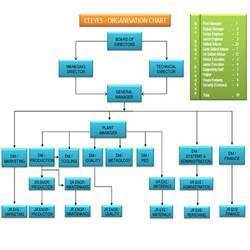 For meeting requirements of our export market, our sister concern, Ceeyes Metal Engineering Pvt. Ltd. manufactures Pressure Equipment Directive (PED) Pumps for Complaint Registering. Manufacturing, Trading and Exporter of Camshaft for Diesel Locomotives. To become a preferred supplier of precision machined products serving customers globally by providing value through innovative solutions for our customers thereby enriching the lives of our employees and increasing the values of our stakeholders. To support our customers by providing superior products and services of exceptional value which help them gain competitive advantage in their markets. Quality Policy Ceeyes is committed towards producing and delivering Precision Products compliance with the stated requirements of its customers by continually improving its Quality Management System. Over the years we have become one of the major sources for the manufacture and re-manufacture of Heavy duty diesel engine camshafts for the locomotive industry, stationary power industry and the ship engine industry. 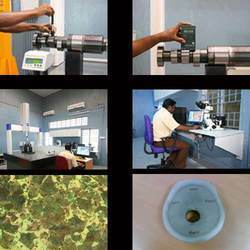 Microscope with Image Analyzer software to verify micro, macro structure, inclusion etc. 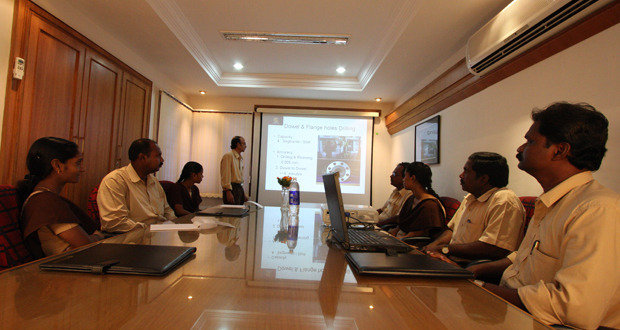 The well trained and dedicated team at Ceeyes is its asset. We have been appreciated by our clients for our ethical business practices, honesty and integrity in our work culture, transparency in our dealings and commitment to customer requirements. The team starting from the operators to the top executives strive hard to surpass the high standards set for them selves. Awareness of the recent technologies, innovation in process and working towards customer satisfaction is a routine practice with our highly trained and motivated team. We are one of the leading manufacturers of premium quality heavy duty camshaft manufactured to meet requirements of diesel engines used in power generators, locomotives and ship engines. Precision camshafts, overhead camshafts and industrial camshafts offered by us are engineered with precision. Approach to develop application centric range of product. Quality assured products are offered by us. Designed with focus on industry specific needs. Products developed creatively to bring innovations in practice. Having expertise in manufacturing a range of camshafts used in heavy duty diesel engines that are used in ship engines, locomotives and power generators. Products offered by us have helped us in winning trust of large clientele across the world. 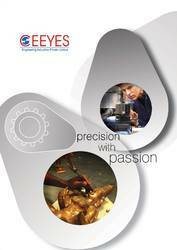 Ceeyes is committed towards producing and delivering Precision Products compliance with the stated requirements of its customers by continually improving its Quality Management System.